Your parking lot is the “welcome mat” to your business. Sealcoating beautifies pavement and enhances the curb appeal of commercial properties, home driveways, roadways and more by giving asphalt a rich, black “like new” look. Chemical damage, sun damage, and harsh weather deteriorate asphalt pavement. Sealcoating and crack filling is a fraction of the cost of repairing or replacing asphalt pavement. A scheduled pavement maintenance program that include sealcoating and crack filling can more than double the life of your asphalt pavement. Toste Construction is a Mooresville asphalt sealcoating and pavement maintenance company. Their services include asphalt sealcoating, striping, patching, pothole repair and crack filling for both residential and commercial projects throughout western North Carolina. Contact us today for a quote and to learn more about how Toste Construction, Inc. can give your asphalt the facelift it needs. Sealcoating is the process of applying a thin coat of sealer to asphalt that replenishes the binder lost through weathering and aging. Asphalt sealer proves a barrier to moisture intrusion as well as uv rays, chemicals, and salt. Line striping and traffic markings provide organized traffic flow and clearly defined parking areas. 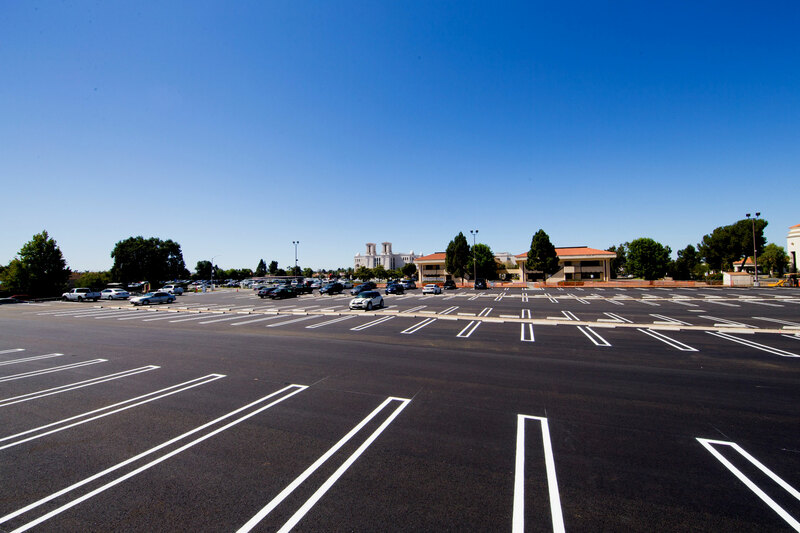 A clean parking lot with long lasting traffic paints add curb appeal to your property. Pothole Repair with hot or cold patch material fills potholes and cures parking lots and roads of the annoyance to vehicle traffic and the tripping hazard. Pothole Repair helps your business avoid costly liabilities in a cost-effective manner. Crack filling is the process of applying hot or cold crack filler to seal cracks in asphalt pavement. Crack filling prevents moisture intrusion into pavement by providing a water-proof barrier.